This coming Sunday is the International Day of Prayer for the Persecuted Church. 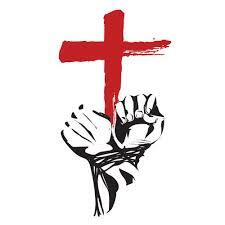 Persecution of Christians is on the rise – 250,000,000 (250 million) Christians experience some form of persecution. Did you know that in 2016, 90,000 people were killed because of their faith in Christ? That doesn’t include beatings, rapes, house burnings or intimidation. Open Doors is an organization that has the World Watch List that ranks the top 50 countries where the most severe persecution takes place. It is not a surprise that North Korea is the #1 place that targets Christians – Somalia is #2. This Sunday, please ask your pastor to emphasize the persecuted in his morning prayer. We cannot sit idly by as our brothers and sisters in Christ are suffering in unimaginable ways simply because they profess faith is Jesus. We are all of the same body of Christ. We have to do something! We can all pray. I pray for God’s mercy to reign and His grace to enable. And I pray for those who are doing the persecuting that through the witness of those they target, they will see Christ in a powerful way and come out of the darkness. Join me on Sunday, November 5, 2017 in praying for our brothers and sisters. Hi Ruth..My name is Joseph, i just heard your youtube interview.. I sobbed through the whole thing as i am now making this comment..i just wanted to thank you!!! Broken People What a Legacy!